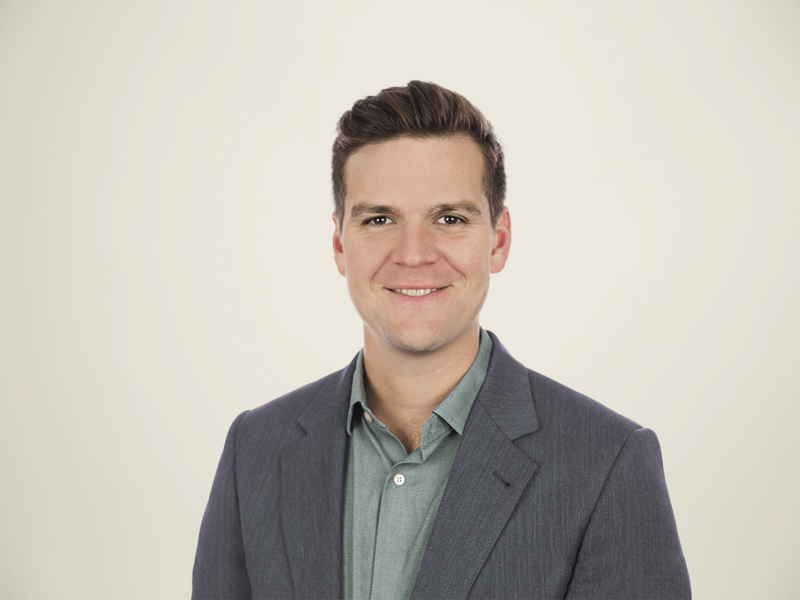 I would like to introduce myself as a new data researcher at Forrester Research. Before joining Forrester, I earned my Ph.D. in cognitive neuroscience from Duke University where I focused on building predictive models of decision making. I combined behavioral economics principles with computational methodologies to create robust models of the internal and external motivators that guide people’s choices. In my new role, I aim to utilize data science techniques to yield a deeper understanding of consumer behavior. 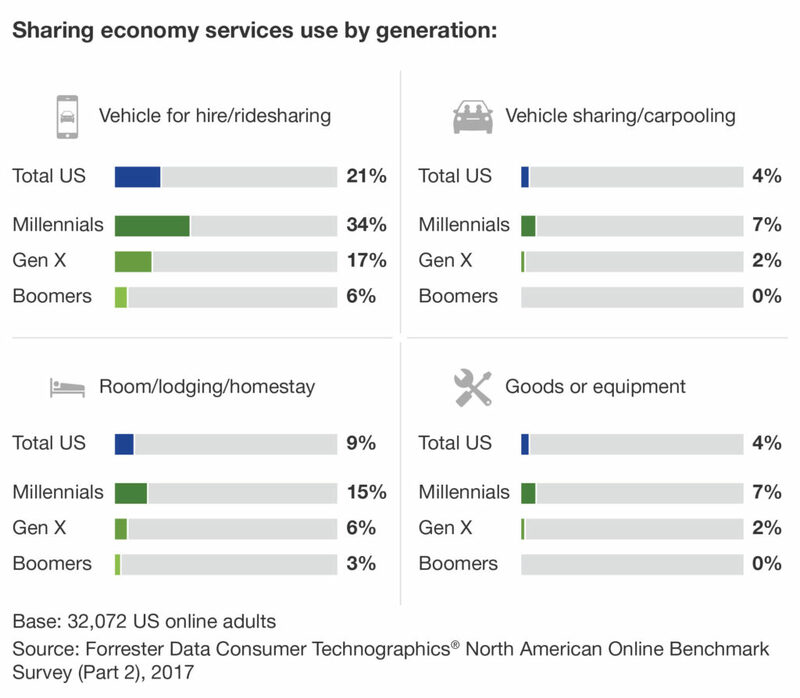 My first Forrester report, Millennials Drive The Sharing Economy, takes a look at the dynamics of the sharing economy — peer-to-peer platforms that provide access to shared goods and services. Well-known examples include Uber and Airbnb. As the graphic below shows, the sharing economy overall is still nascent. While 27% of US online adults report using at least one sharing service in the past six months, Millennials’ usage rate is more than quadruple that of Boomers. In fact, Forrester’s Consumer Technographics data reveals that Millennials drive the sharing economy, in part because they hold different values than older consumers. For instance, our data reveals that younger generations in general spend more on experiences than on owning material products. Older consumers have a greater aversion to using other people’s belongings and have a harder time understanding the mechanics of various sharing platforms. To read the full explanation of generational differences in the sharing economy and what it means for any B2C company, please find the research report here. If you’re not a data client, please email data@forrester.com to gain access or learn more.